Garlic provides the spicy kick in fresh salsa and enhances the flavor of Italian dishes, but garlic isn't valued for its flavor alone. According to the University of Maryland Medical Center, garlic is rich in antioxidants to fight free radicals that contribute to aging, heart disease and cancer. 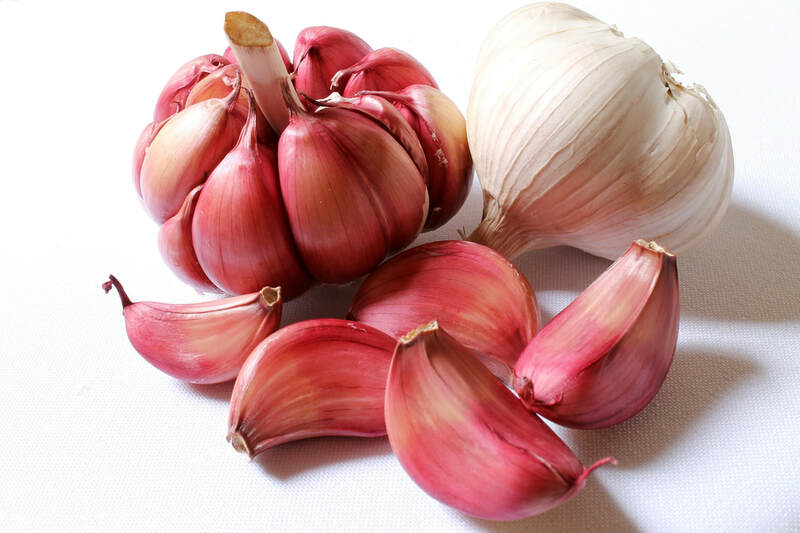 Garlic may also lower cholesterol and help ward off the common cold, This little powerhouse packs a punch by bringing flavor up a notch while it helps improve your health, too. Location: Garlic prefers a sunny location and does best in 6 to 8 hours of direct sunlight a day. The hours of sunlight do not need to be consecutive. Some shade during the hottest part of the day may actually be preferred. Soil: Garlic prefers rich, organic soil that drains well. Till the soil to a depth of 8 to 10 inches and amend with generous amounts of organic matter, such as manure or compost. Fertilizer: Garlic benefits from starter fertilizer applied to the soil before planting. Add one to two pounds of 10-10-10 fertilizer per 100 square feet and mix it into the top six inches of the soil. Repeat with one pound of fertilizer one month after planting or in early spring when the ground thaws. 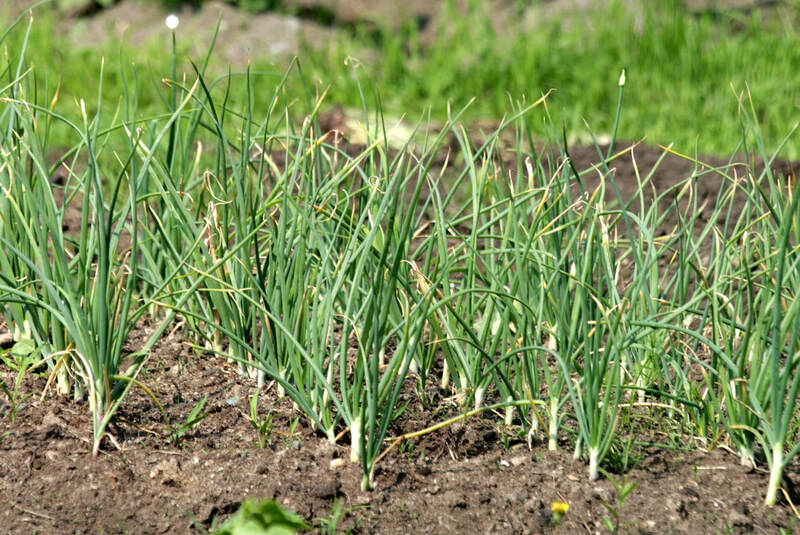 Planting: Plant individual garlic cloves in the fall four to six weeks before the ground freezes. Position the cloves in the soil with the pointed end up to a depth of one inch. Space them three to five inches apart in rows. Water deeply to encourage good root formation. Mulching: Mulch garlic with straw or other organic mulch to conserve water and prevent weeds. Watering: Water garlic deeply once or twice a week during periods of active growth, but avoid over-watering, as garlic prefers slightly dry soil. Stop providing supplemental water by mid- to late-summer when the tops begin to yellow. Harvesting: Harvest garlic when tops have yellowed and died back. Dig or pull the bulbs from the soil and allow them to dry in a shaded area for 24 hours to "cure." Storing: Store garlic in a cool, dry place. Some prefer to braid the stalks so that garlic can be hung for easy access. Check the bulbs often for any signs of mold. Garlic purchased in the grocery store may not grow, or may be the wrong variety for your area. Always purchase healthy bulbs known to produce well in your area.